Description: Wow! What an awesome find with private green belt back yard too!!! Beautiful newly built, custom home with 4 bedrooms and 2 & 1/2 baths with a warranty. All new appliances in this magnificent kitchen. The master bath has everything you could dream of from a garden tub to a walk in shower with a seat! This is definitely a home you don't want to miss out on!! Call today for a showing! 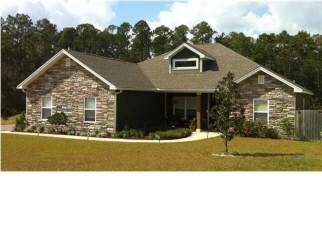 Duggan pond is the best subdivision closest to eglin afb in crestview! It is located south of i10 just 15 min to the 7th special forces base. 35 to 45 min to the gulf beaches and destin.